In the wake of explosive allegations by German publication Der Spiegel, that Paris Saint-Germain and Manchester City have engaged in fraud to avoid Financial Fair Play (FFP) sanctions, LaLiga president Javier Tebas has called for banning clubs found guilty of breaching FFP rules. In fact, Paris Saint-Germain and Manchester City have been serial offenders who refuse to take on board the need to meet FFP criteria. In 2014, both clubs received punishment for FFP violations. Former Arsenal manager Arsene Wenger who coined the term “financial doping”, has been one of the biggest advocates for FFP – that clubs should live within their own means. Speaking to Eurosport, Wenger said, "There are two ways of thinking about the whole process. 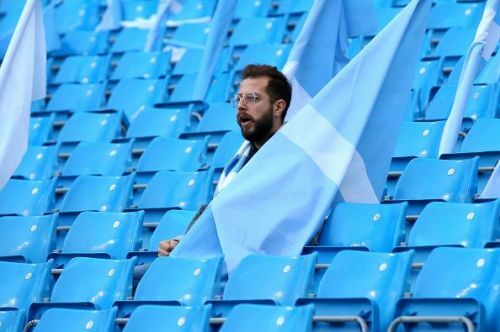 You can say, 'we don't care, we want the billionaires to buy the big players and they can spend what they want' or you say 'look, we want to keep things fair',"
He further added, "If you say to me 'tomorrow we give everybody £100million in the 20 Premier League clubs', I say 'okay, I will take the gamble', and then you can say at the start that is a fair competition. A big part of Wenger’s legacy at Arsenal would be his careful financial supervision. Over the years, he has run a tight ship financially. Despite many temptations and criticisms, Wenger maintained a frugal approach in the transfer market- looking for bargains and value-for-money players, never over-paying for players. Perhaps, his degree in economics taught him the importance of valuations. When he weighed up potential signings, he judged them like an economist pricing assets. In the process, he unearthed some brilliant bargains- Kolo Toure £250,000, Patrick Vieira £3.5m, Cesc Fabregas £0, Freddie Ljungberg £3m. Robin van Persie £2.5m, Jens Lehmann £1.5m, Gael Clichy £400,000, Nicolas Anelka £500,000 just to name a few. In short, Wenger’s Arsenal has been one of the best-run, financially sound businesses in football. Wenger signed the Japanese international for about £2 million from Gamba Osaka, making him the first Japanese player in the Premier League. Many believed Inamoto was signed to improve Arsenal’s standing in Japan and the Far East. 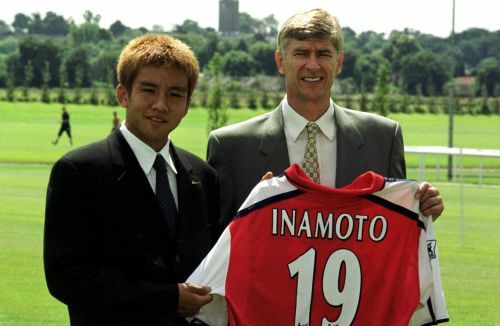 Unfortunately, Inamoto never made the grade at Arsenal. He was released after making just four appearances during his one failed season.